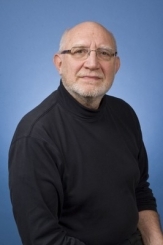 Joel D. Aberbach is Distinguished Professor of Political Science and Public Policy and Director of the Center for American Politics and Public Policy at the University of California, Los Angeles (UCLA). He is the author of Keeping a Watchful Eye: The Politics of Congressional Oversight (Brookings, 1990), co-author, with Bert A. Rockman, of In the Web of Politics: Three Decades of the U.S. Federal Executive (Brookings 2000), co-author, with Robert D. Putnam and Bert A. Rockman, of Bureaucrats and Politicians in Western Democracies (Harvard, 1981) and, co-author with the late Jack L. Walker, of Race in the City (Little, Brown, 1973). Aberbach is currently Co-Chair of the Research Committee on Structure and Organization of Government of the International Political Science Association and served as Co-Chair of the Commission on the Executive Branch convened by the Annenberg Foundation Trust's Institutions of American Democracy Project. A volume from this project, Institutions of American Democracy: The Executive Branch, edited by Aberbach and Mark A. Peterson (Oxford University Press, 2005), won the 2006 Neustadt Award for the best reference work on the American presidency. In 2005 he was elected a Fellow of the National Academy of Public Administration. He has also been a Fellow at the Center for Advanced Study in the Behavioral Sciences, the University of Bologna's Institute of Advanced Studies and the Swedish Collegium for Advanced Study in the Social Sciences, and a Senior Fellow at the Brookings Institution in Washington, D.C. In 2006-07 he was the John G. Winant Professor of American Government at Oxford University and a Fellow of Balliol College, and in Spring 2011 he was Politics Visitor at Nuffield College, Oxford and also became a Fellow of Oxford's Rothermere American Institute. His latest book is Understanding Contemporary American Conservatism (Routledge, 2017). Organization Theory, Public Policy, and Administration: Governing the Bureaucracy in the U.S.